The Hope Street Cafés are social enterprises that provide volunteering, hospitality industry training and employment opportunities for people who face barriers to work. We offer Supported Traineeships with a Recognised Hospitality Qualification at our Hope Street Cafés. The cafés operate in partnership with Axiom College and the local hospitality scene and are an inclusive community asset and hub. This training is funded by the Department of Employment, Small Business and Training – Skilling Queenslanders for Work and there are no out of pocket expenses for you to participate in the program. Training delivered by industry professionals onsite at Hope Street Cafés in West End and South Brisbane. Supported through Micah Projects, we can offer support and services to help you achieve your goals. Career pathway development and advice. For more information or to register your interest and assess your eligibility please contact Annette Gillespie, Participation Worker via email or phone 0439 405 565. Download a Hope Street Traineeship Expression of Interest. Hope Street Café graduating trainees. Photography: Katie Bennett. To view the locations of Hope Street Café and Hope on Boundary Café please visit our Locations page. There’s lots of reasons why people volunteer: to get experience and new skills, meet some new friends, contribute to the community, or maybe just because they’ve got a free weekend here and there. 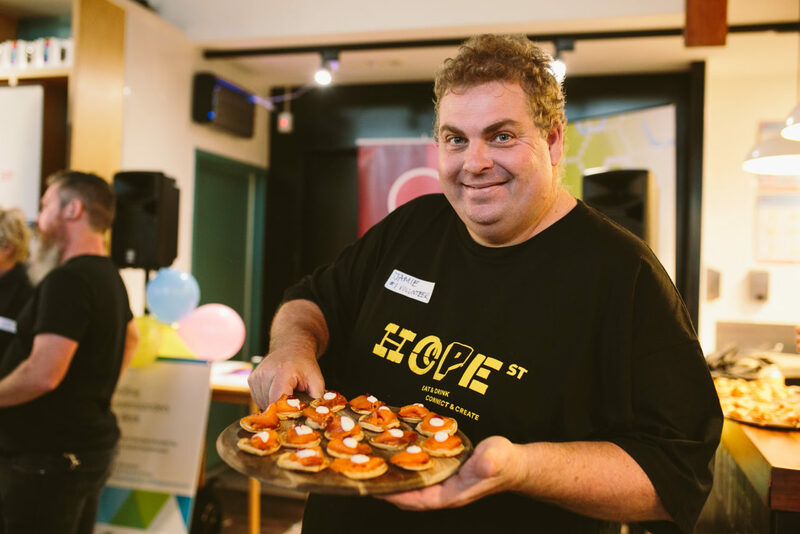 Hope Street: Eat, Drink, Create, Connect is a social enterprise based in Brisbane providing people with a supported pathway from economic hardship to a sustainable livelihood. If you’re keen to get involved and work alongside our cooks, baristas and floor staff, there’s plenty of opportunities. Long-time volunteer Jamie at the Hope Street Café first birthday celebration. Photography: Katie Bennett. Come down and help us serve our customers, juice up a storm, mix a mocktail, get your hands stuck into some kitchen prep or share your skills with someone else. An RSA (Responsible Service of Alcohol) is required if you would like to volunteer in the bar. You can join us for a shift either during the week, or on the weekend. So, if you want to help us out please fill out our volunteer expression of interest form below. How many months do you expect to volunteer? What skills and interests do you share with Hope St? 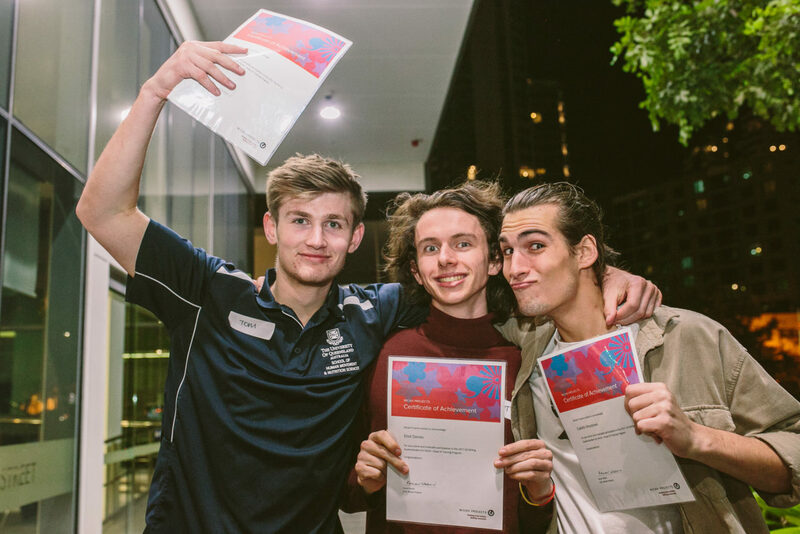 What would you like to gain from this experience – a connection with your community, exposure to a social enterprise or work experience to assist you in gaining employment? Do you have a preference for working on the café floor looking after our customers, or out the back in the kitchen assisting the cooks? What else can you tell us about yourself, so we get to know you a little better? Join our volunteer newsletter? This is a great way to stay in touch. Thank you, your details have been submitted. Someone will be in touch soon. The search to create a home, to have a meaningful and healthy life, to have people in our lives we rely on, to learn and grow personally, to have connection with family and to have a job, are the aspirations we all share. By making a tax deductible donation to Micah Projects’ Hope Street Café you will directly assist individuals who aspire to employment yet face barriers, including poverty, wellness (physical and mental health), access to stable housing, access to childcare, level of social skills and daily functioning. Hope Street Café is run by Micah Projects, a not-for-profit organisation committed to providing services and opportunities in the community to create justice and respond to injustice. Read the stories from people we work with. Please visit the Micah Projects website to donate. Micah Projects and Hope Street Café are pleased to acknowledge our supporters. We want to stay in touch with you! Please join our mailing list to keep up to date with the latest events, training dates, offers and news.